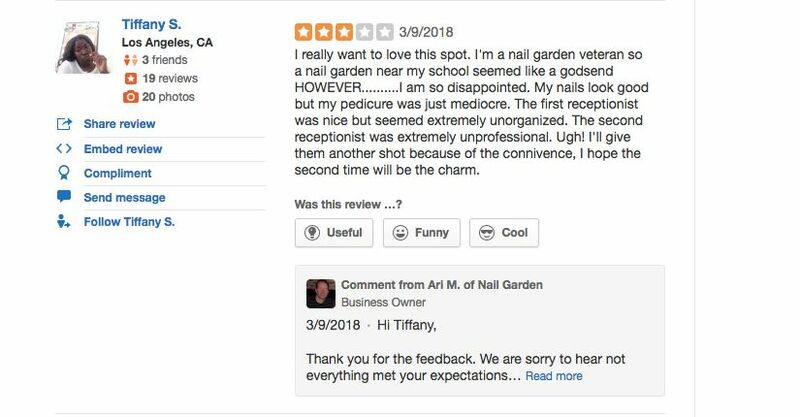 Like many of the stores at the USC Village, the Nail Garden was slow to open. USC students (myself included) waited anxiously for the convenient location to open where pedicures for formals, manicures for vacations, and other relaxing treatments to escape the stress of school would be available at ease. Unfortunately, the Nail Garden in the Village has not lived up to the hype since its opening last month. 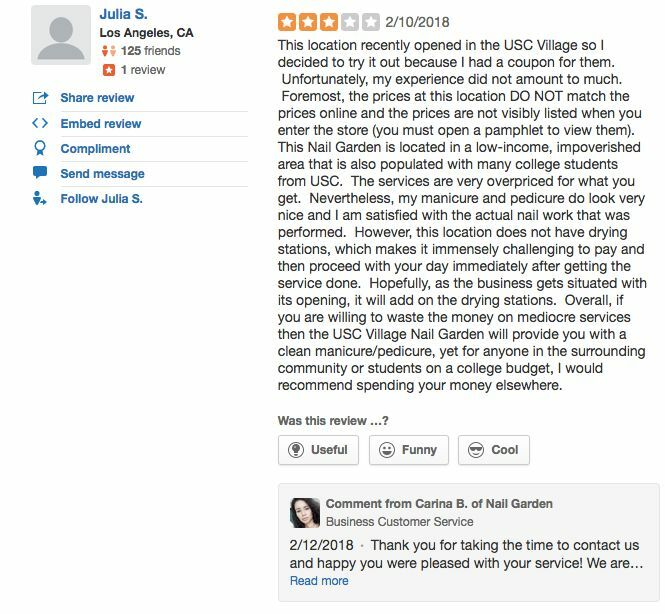 This seems to be a campus-wide consensus, as stories of short-lasting polish, rude employees, and outrageous price tags have spread since the store’s opening. And USC students are not happy about it. My first (and only) experience at the Nail Garden occurred the day before Spring Break. I stopped in on Thursday night to check and see if I needed to make an appointment for the next day. The girls at the front desk assured me that an appointment wasn’t necessary, as most people had already begun heading out for break. I came back the next afternoon ready for my Spring Break pedicure. However, when I walked in, the front desk worker said that they were “slammed for spring break” and that I’d have to wait over two hours to get a simple pedicure. Not exactly what I was told the night prior. After sharing what I was told the night before and explaining that I had to leave campus by 7 to catch a flight, they told me they could possibly squeeze me in at 5:30p.m. When I came back then, I waited another 45 minutes and was about to walk out when they said they could finally take me. Unfortunately, the wait was not worth it. There was a plumbing issue with the foot baths of the pedicure chairs, so I had to soak my feet in cold water in a plastic-wrapped tub. The Nail Garden website says their services include “massage for hands and arms or lower legs and feet, cuticle care and moisturizer, and nail prep and polish,” but I can’t say I got much more than a polish. To top it off, the prices at the USC Nail Garden are more expensive than other Nail Garden locations. And yes, my polish started chipping the first day of Spring Break. All in all, if you want to #TreatYoSelf, take the time to get off campus and explore the many other spa options that Downtown LA has to offer. Because unlike Dulce and SunLife, the Nail Garden does not seem like it will have a USC Village success story.